In order to enchant a greater conversion to your website, it is important that it is professionally managed eCommerce web development. 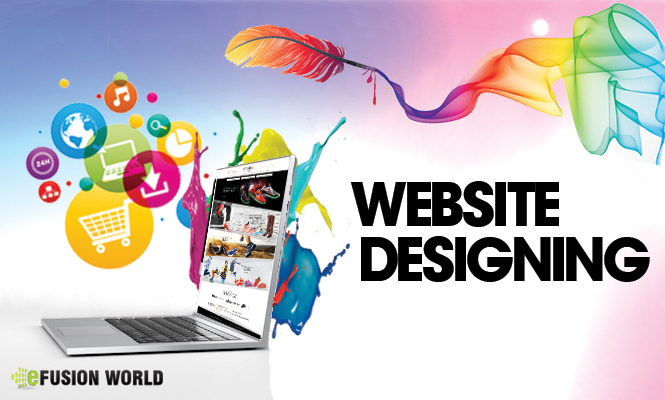 We at – eFusionworld offers impressive and effective eCommerce web design as well as plug-in structure solutions for small and medium level businesses. Builds user friendly front end application which will support eCommerce model in order to provide extraordinary experience to the end users. In ever changing marketplace today’s business requires the online retail structure which is designed to adopt to all latest technology enhancements. Makes your website compatible with different gadgets, such as tablet and smartphone, which will enhance the customer experience. Custom eCommerce Store design provides professionally designed online shopping cart which will work on different platforms and also will feature all your business centric aspects. The following are three main page designs in the development of eCommerce Store. • Home Page Design: In the world of eCommerce, to create a strong first impression you have only 7 seconds and so for that impactful Home page is a must. To spellbind your customer’s attention a very influent and sleek looking Home Page. • Product Page Design: Simple and pleasing product page will help in converting visitors into buyers. Product pages plays a vital role in fostering customers that your product is what they need. • Category Page Design: Customers will visit your category page with an interest of buying your products. Category page is very important for any Custom eCommerce Store Design. Thus with excellent home page designs and clean and sleek product pages one can have impactful custom eCommerce design in order to enchant more customers to elevate sales. This entry was posted in Ecommerce Website Design and tagged Ecommerce Store Design Solutions, Ecommerce Website Design Company by David Cornish. Bookmark the permalink.